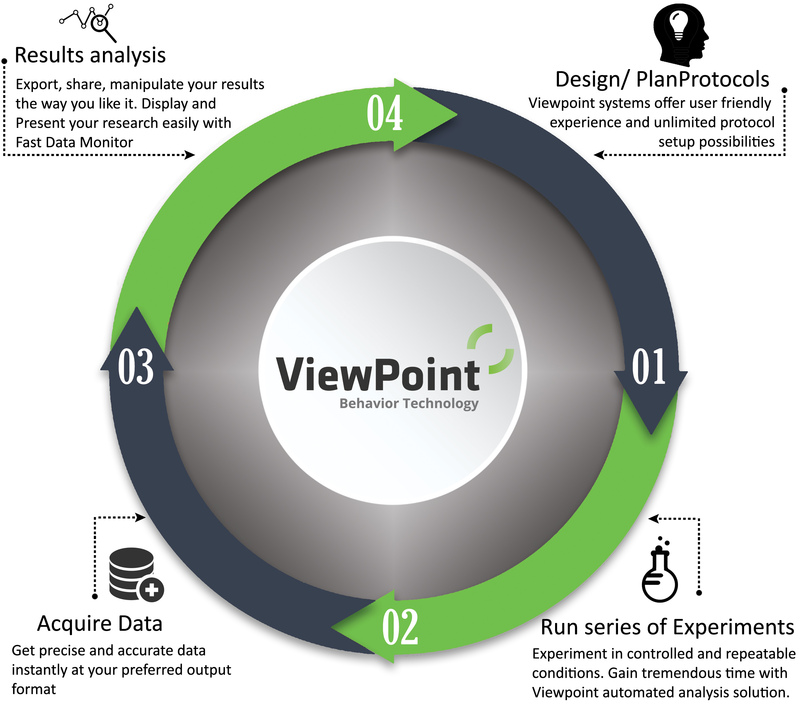 Because of the ever increasing precision of the ViewPoint behavior analysis systems, the amount of data provided naturally grows. 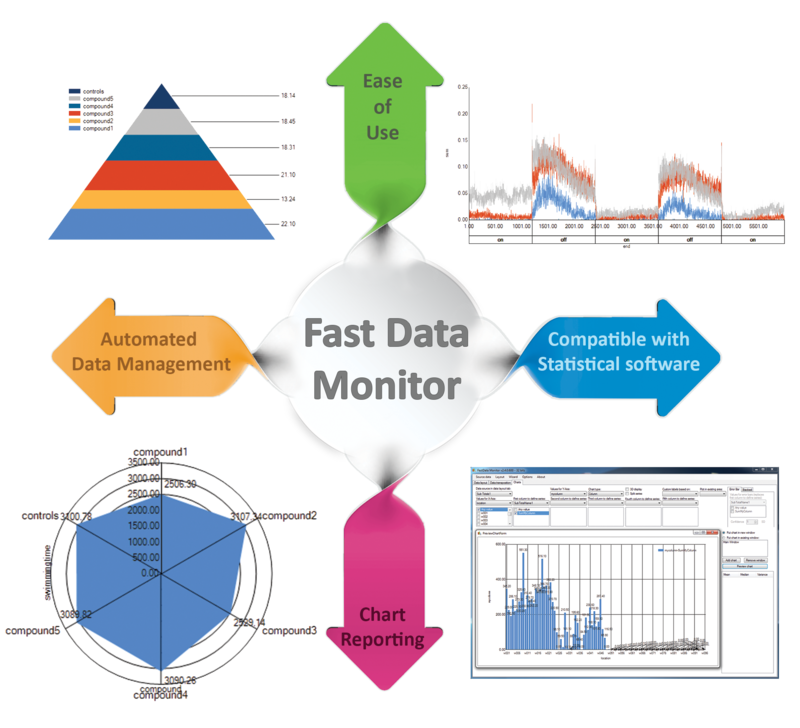 Fast Data Monitor is the answer to address data management. Imagine performing a 96 wells-microplate test, with a time bin of 5 seconds for a total duration of 1 hour. The results file will content 69120 lines of data. Now imagine performing 4 tests a day for an experiment trial of 3 months, at the end of your study you will have to process over 12 million lines of data ! 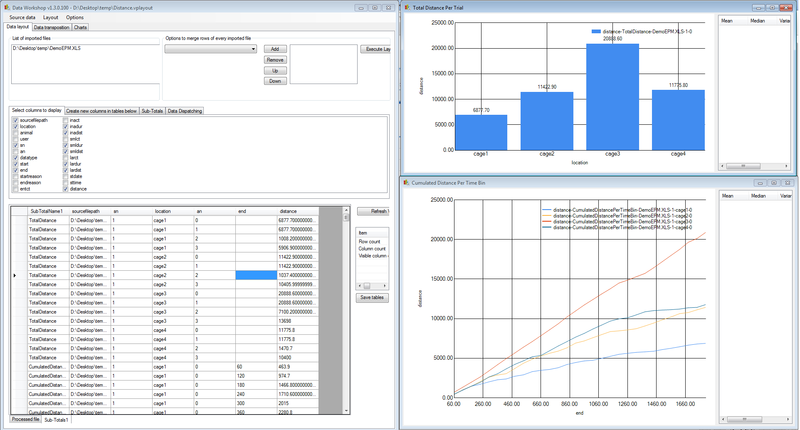 Fast Data Monitor will easily help you processing your research data from all ViewPoint’s systems or others automatically. Because of the ever increasing amount of data to manipulate on a daily basis, researchers must find smarter data management approaches that enable them to effectively correlate and optimize their data. 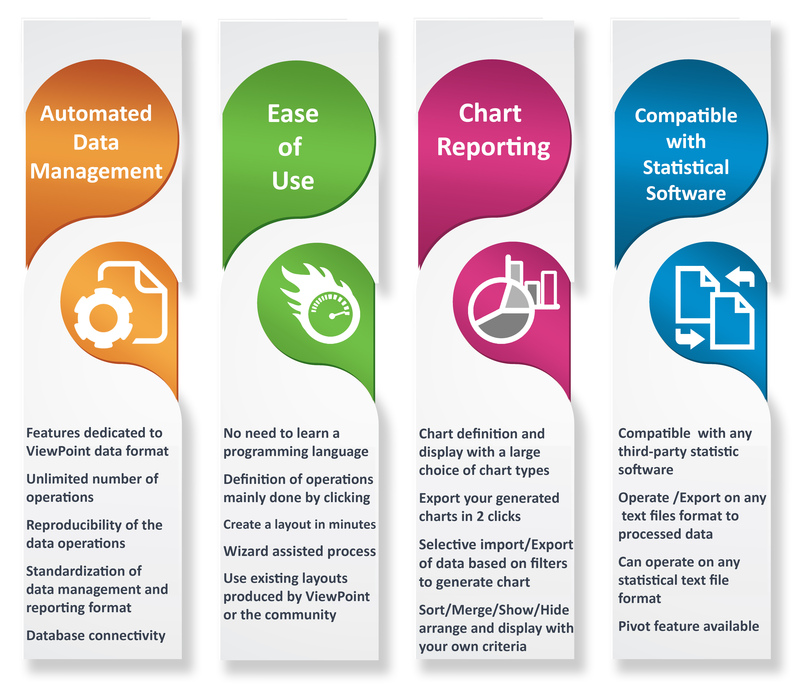 Fast Data Monitor is the best way to infer with the data coming from all ViewPoint's products.